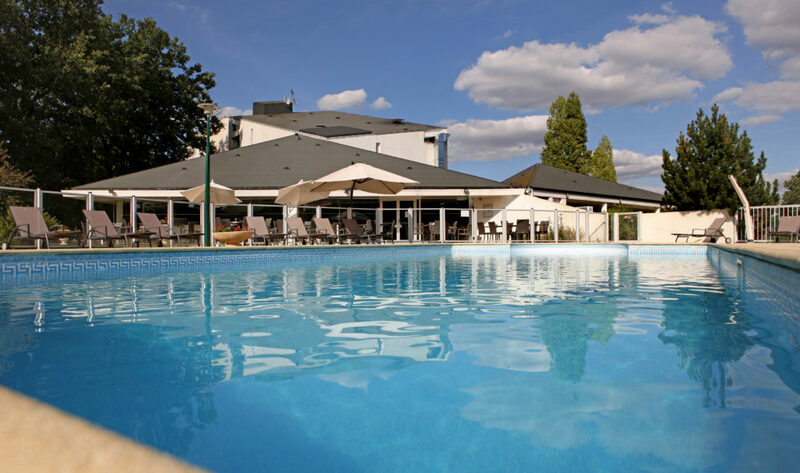 We welcome you in a green haven ideally situated south of Poitiers just 5 minutes from the A10 motorway exit. Our location allows you to easily access numerous points of interest in the region, like the Futuroscope science park at 15 minutes by car. Our restaurant has a panoramic view over our 13 hectares of wooded park and offers quality dishes. Our 3 star establishment offers a true haven for your holidays. Swimming pool, tennis court and sauna, all of our hotel’s amenities will allow you to relax and enjoy during your stay. Find the necessary information in the « seminars » section by clicking here.